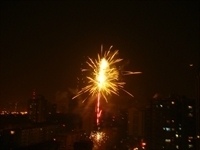 Fireworks from the "5th" day after Chinese new years. 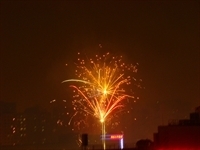 These pictures are from the 13th floor of the condo we were in. 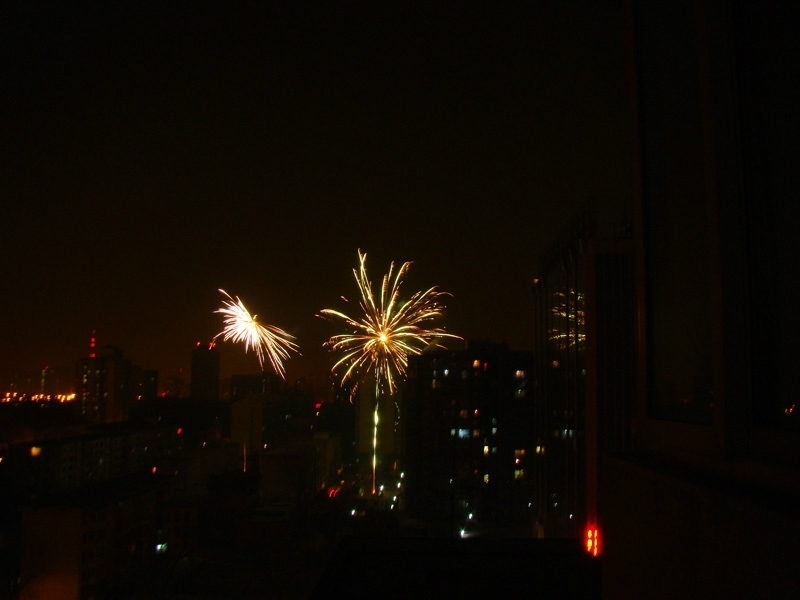 They were exploding right outside at our window height. This is from the "5th" day, which is known as the God of Wealth's birthday. 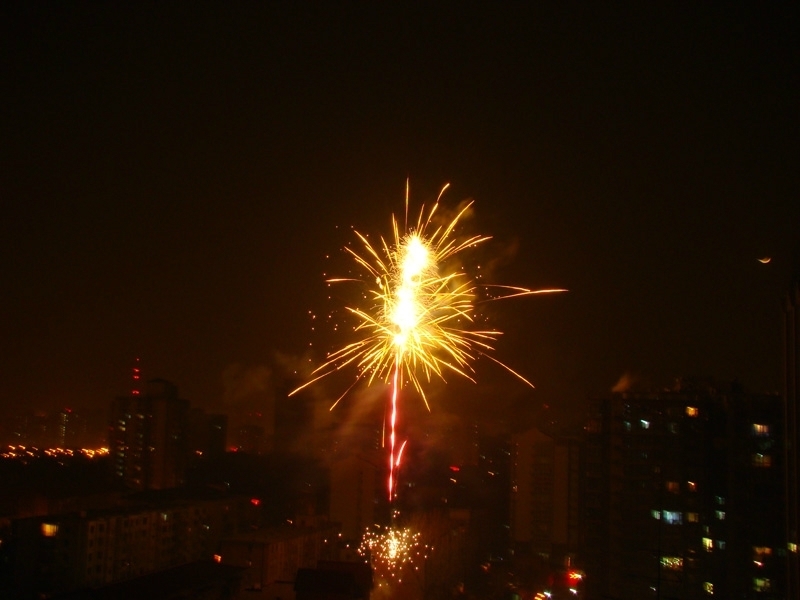 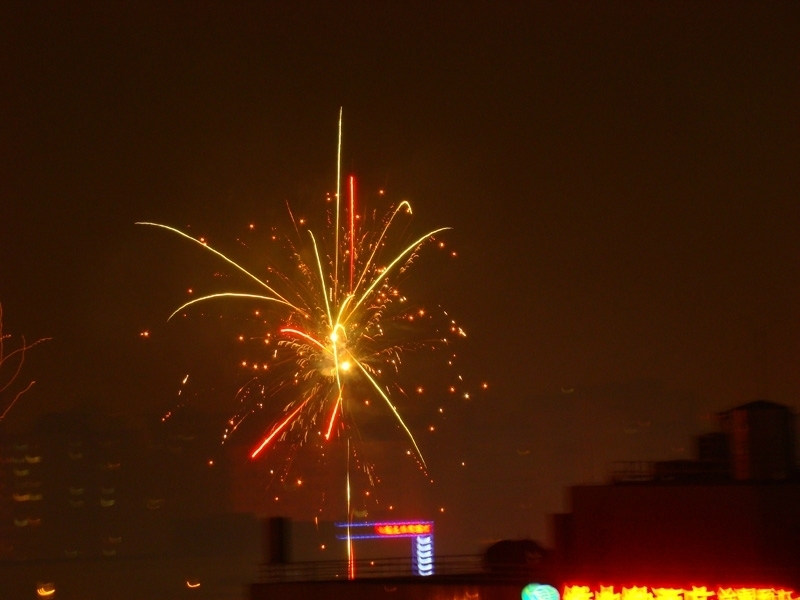 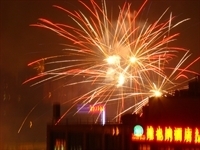 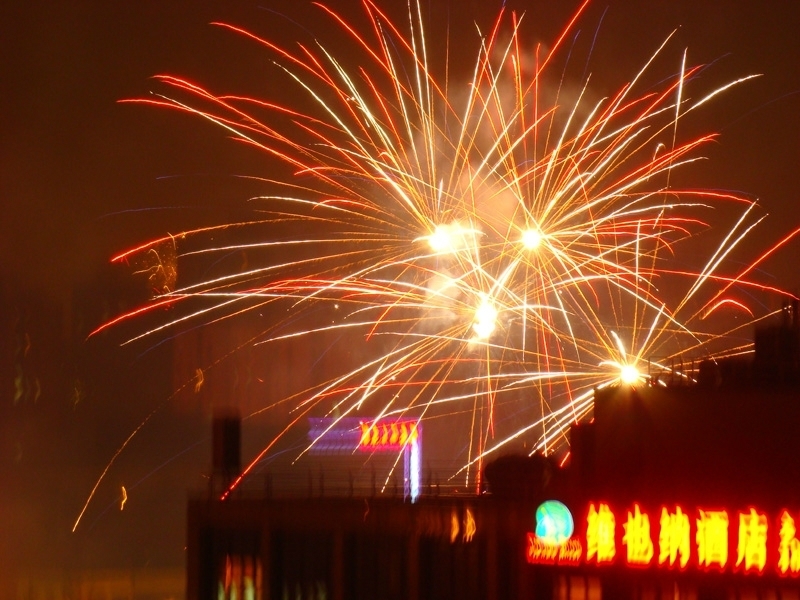 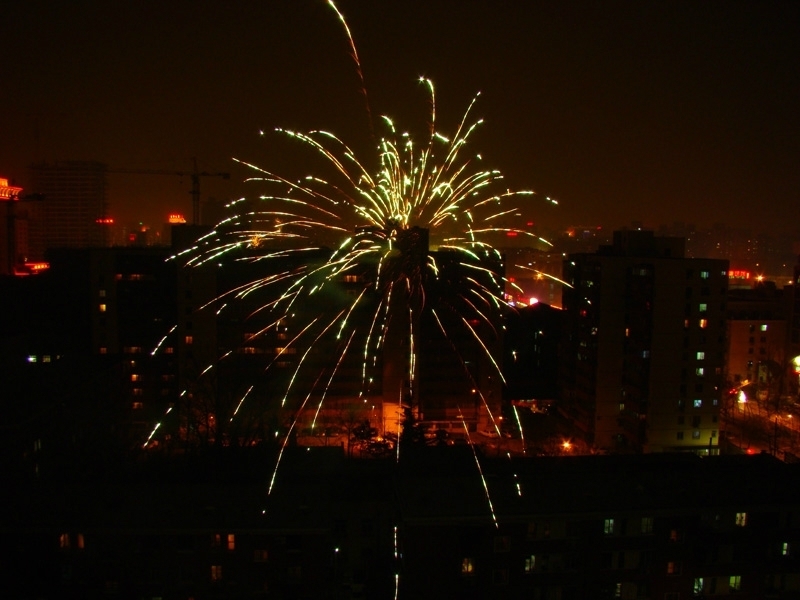 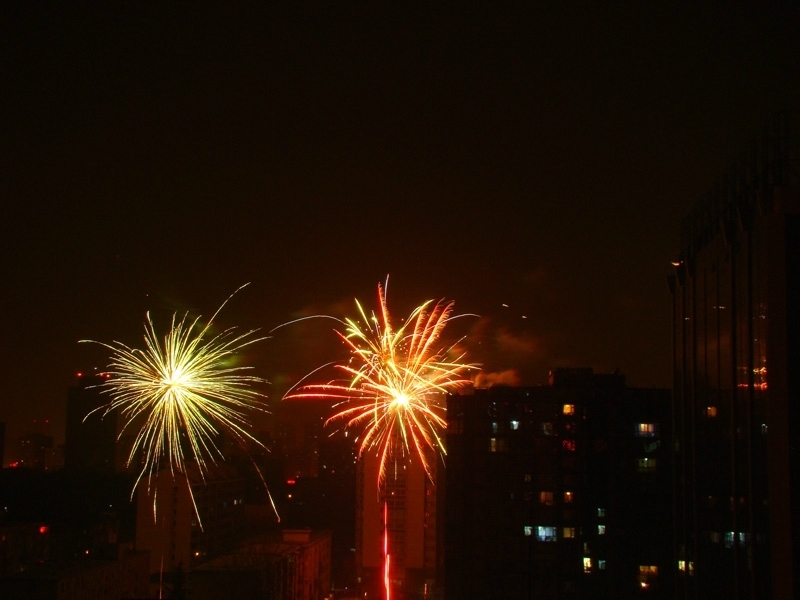 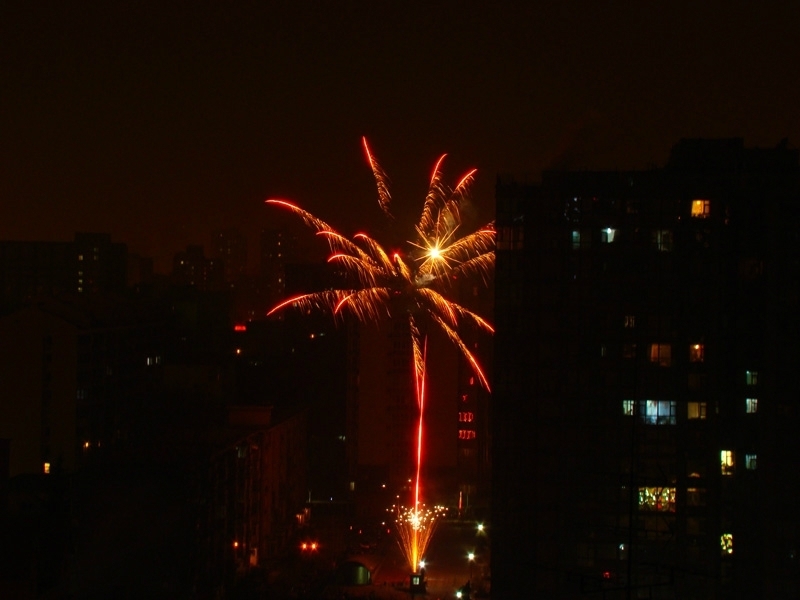 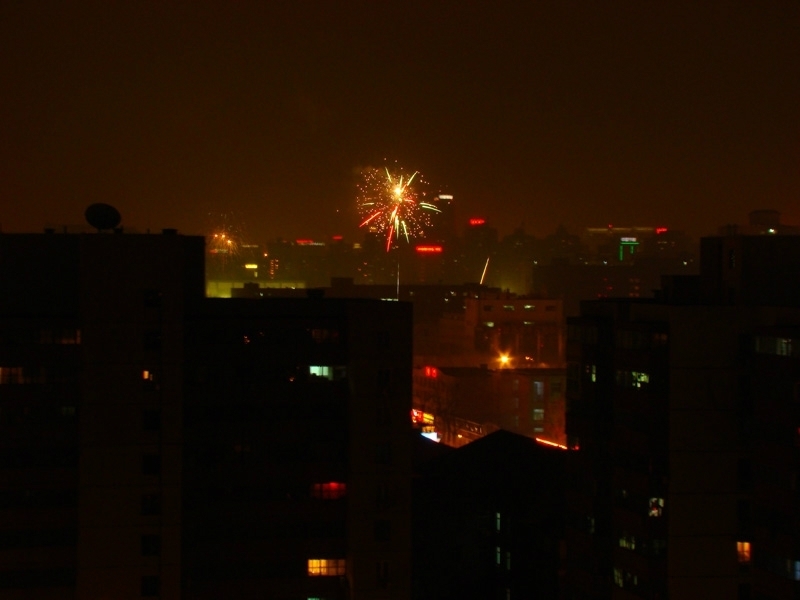 It is common in China that on the 5th day people will shoot off firecrackers in the attempt to get Guan Yu's attention, thus ensuring his favor and good fortune for the new year. 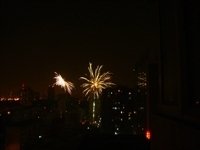 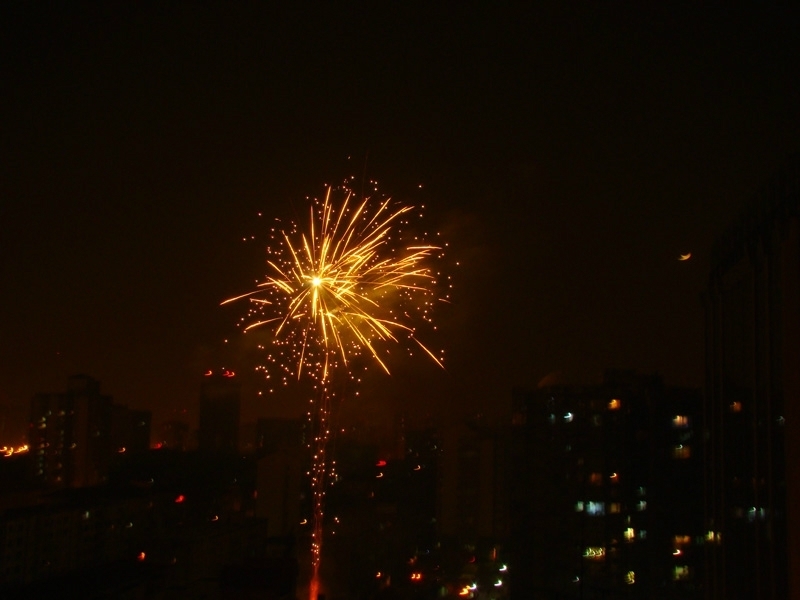 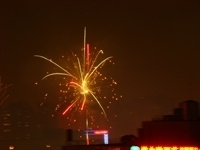 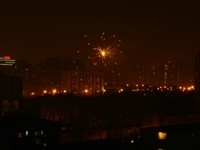 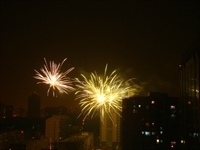 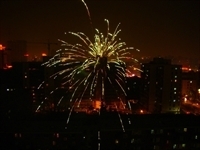 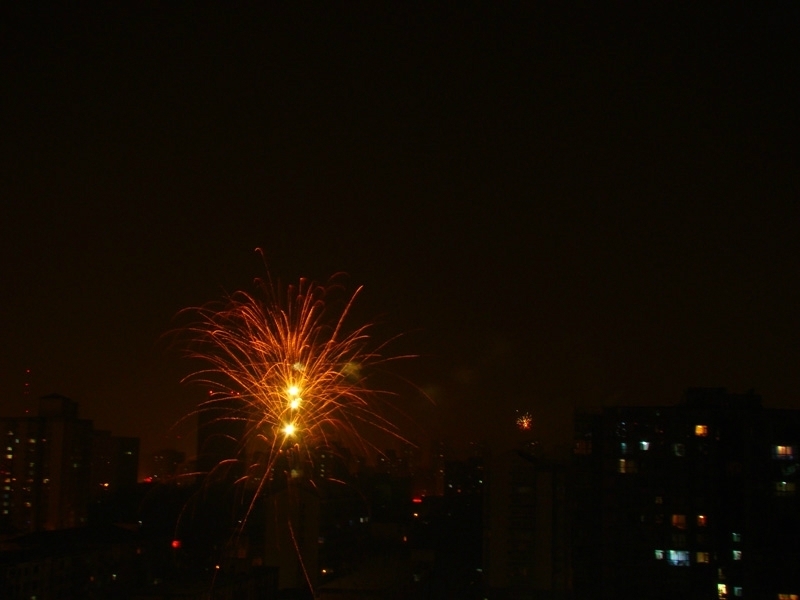 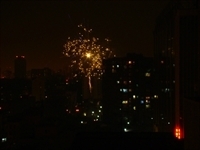 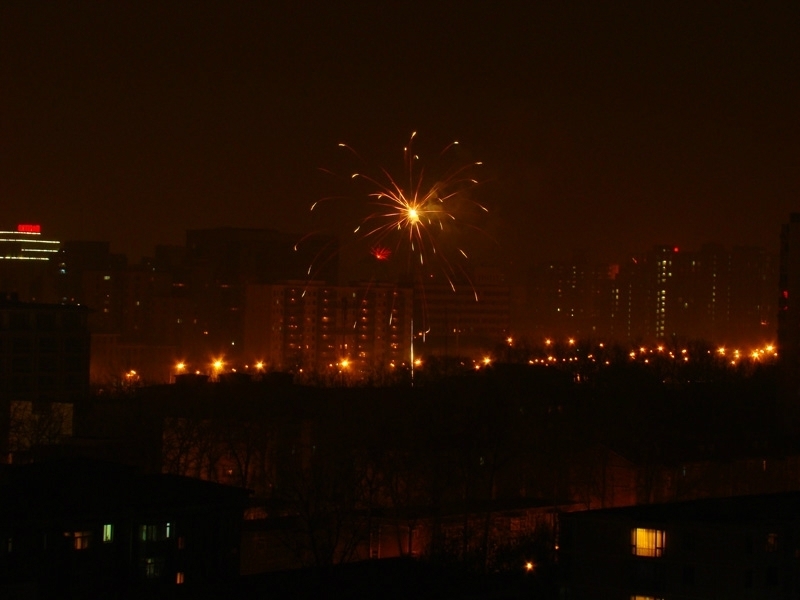 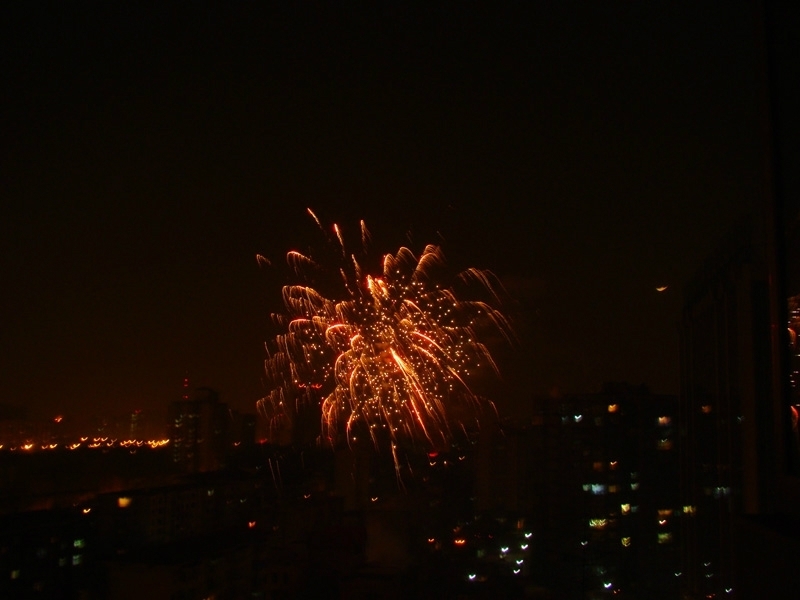 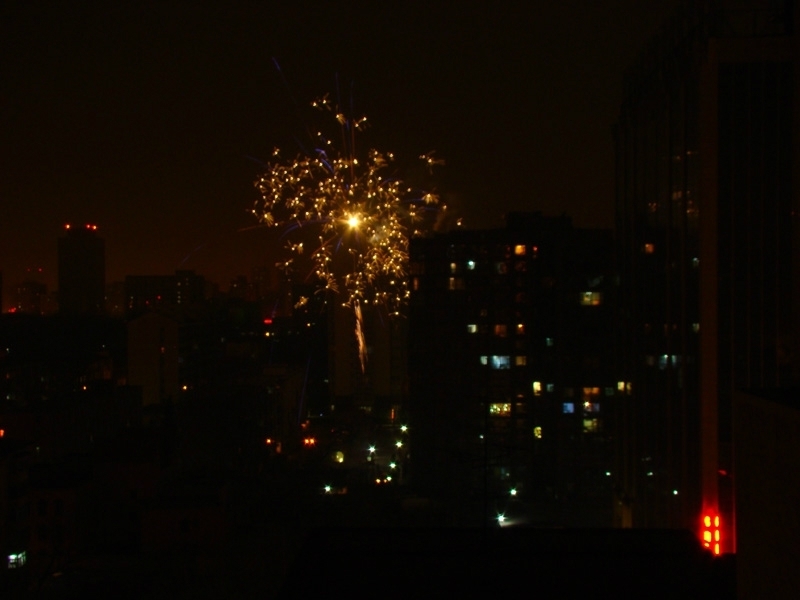 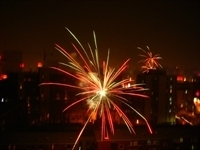 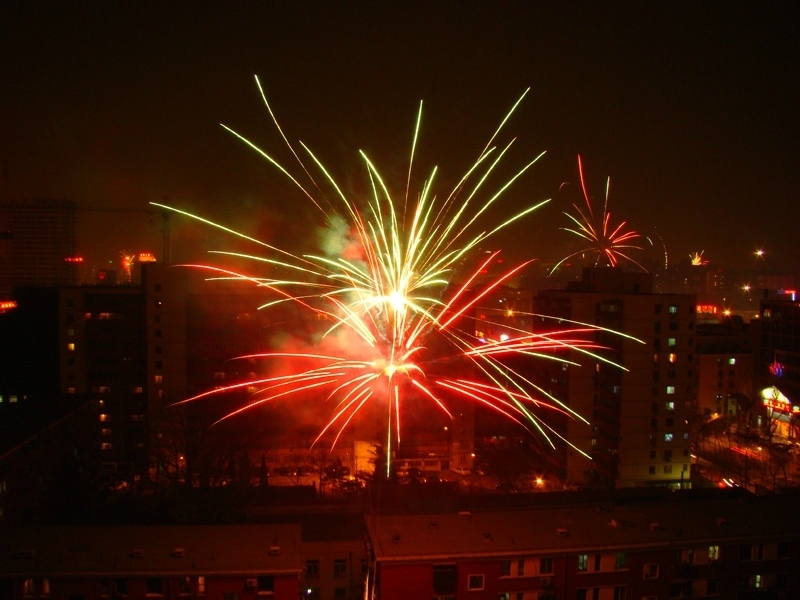 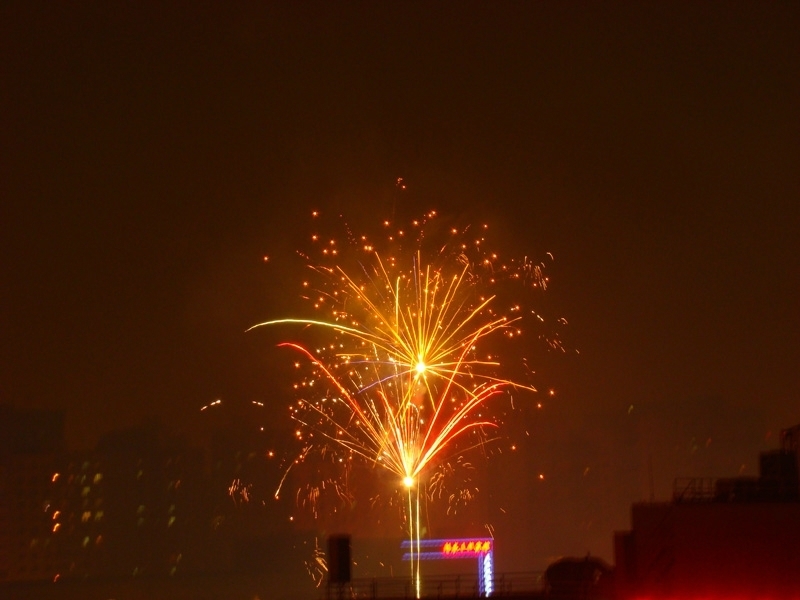 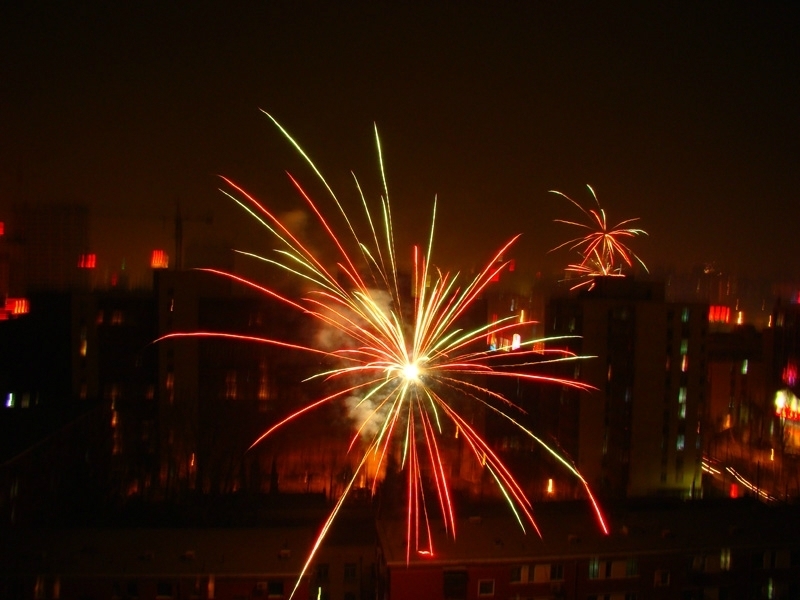 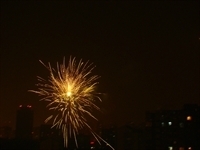 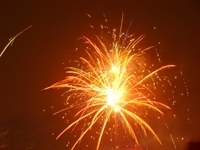 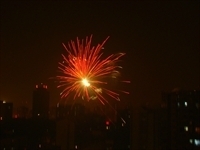 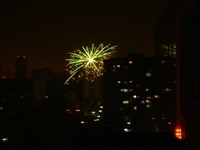 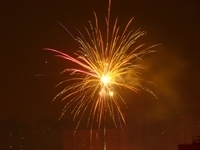 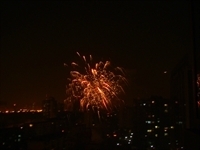 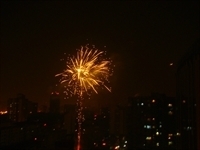 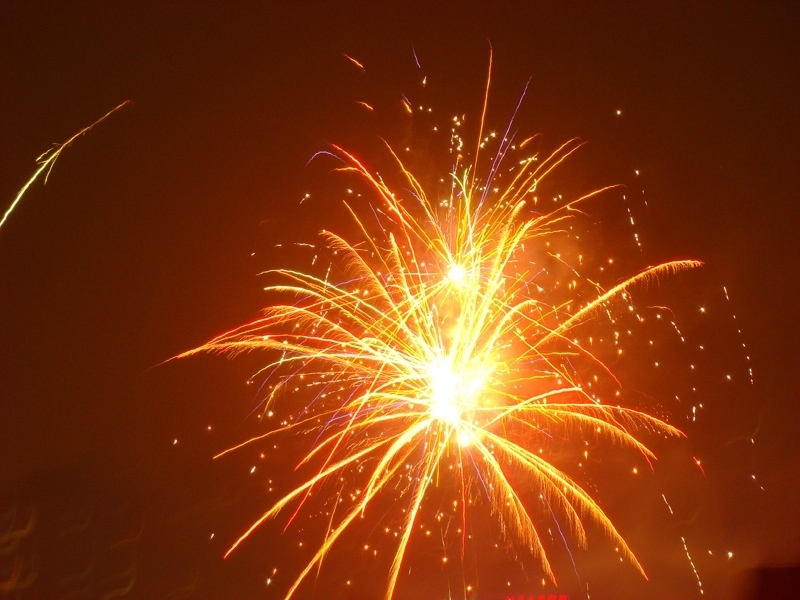 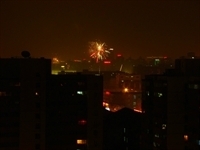 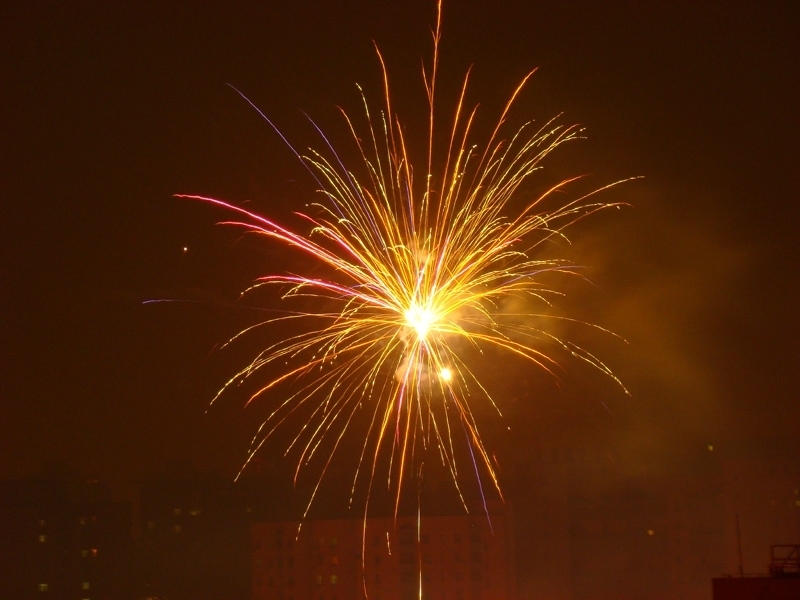 Here's a video (split into 2) I took of the New Year's night (2010) fireworks. 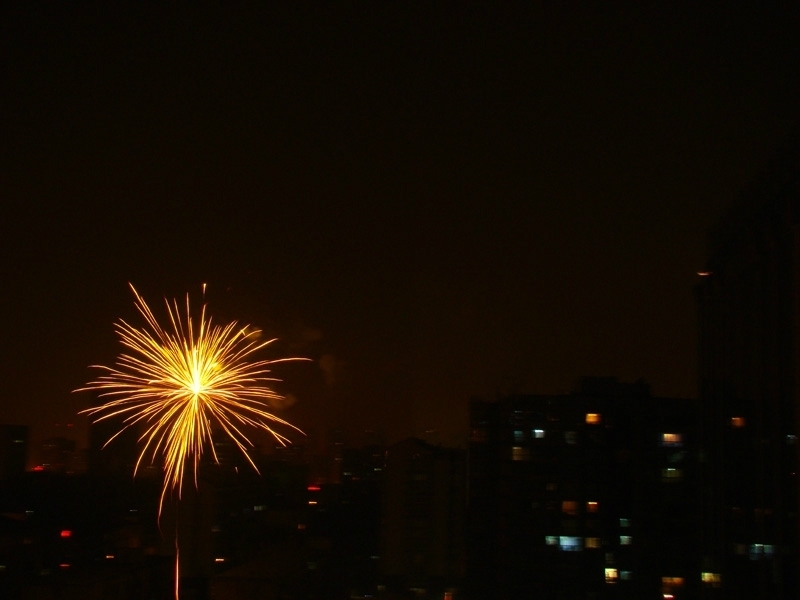 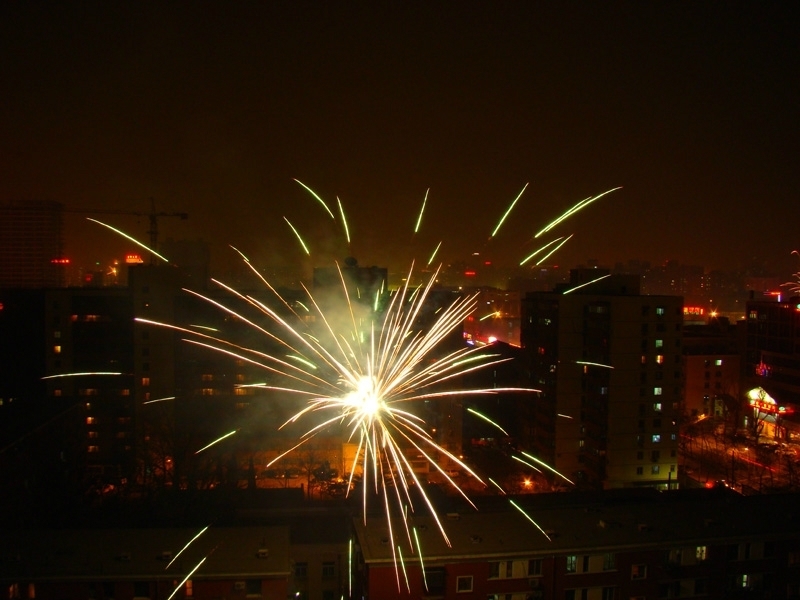 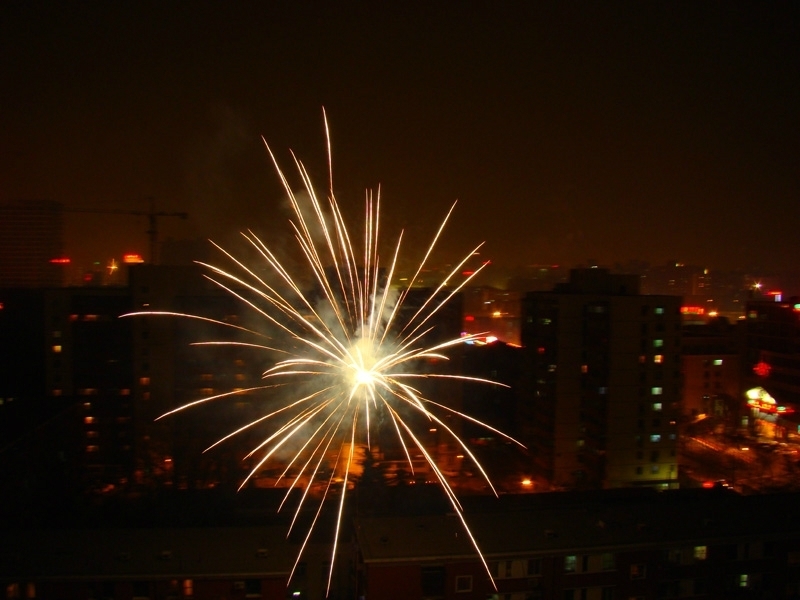 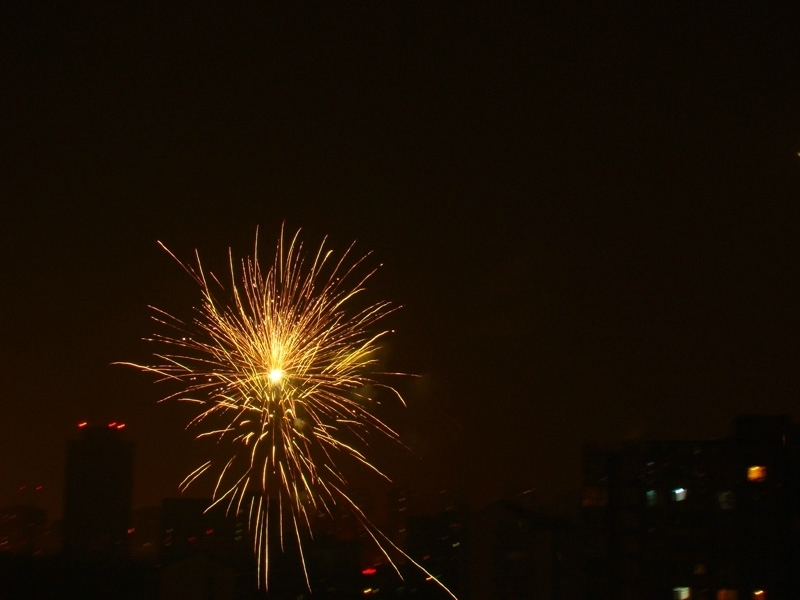 Here's an excerpt from the "5th night" video I took that shows how to do firecrackers right.